Rain, rain, rain...am I in Seattle? Nope, this is Paris, unusually cold and rainy for this time of year. I'm 10 days into my trip, and only now starting to feel a little normal. 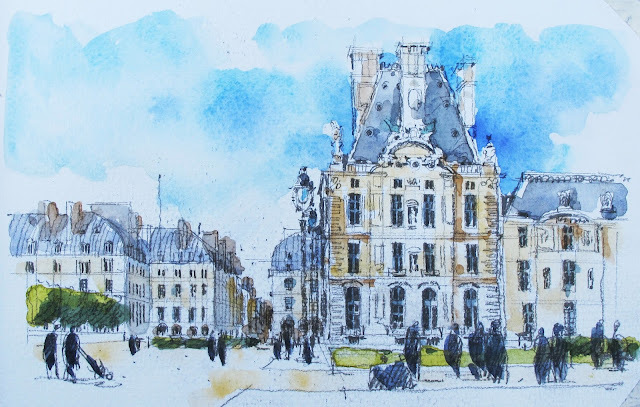 Below is one of my sketches from last week, done on a rare sunny day while eating a sandwich in the Tuilleries near the Louvre. I believe I'm looking at the Biblioteque des Arts Decoratif building.